Without diving into the Blast Radius versus Colony Wars debate, it seems that this game has enough character of its own to allow it to stand up alongside its more popular relative. 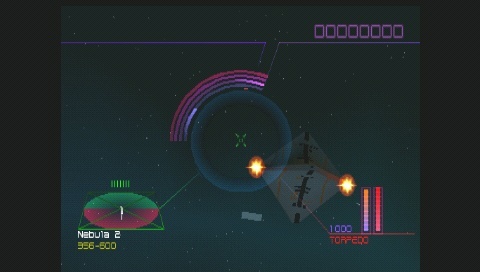 More of an arcade shooter, it is more like Colony Wars Gaiden than anything. The plot (what there is of it) would set it at the time of the third CW games, which is somewhat strange considering it came out between the first and second games. 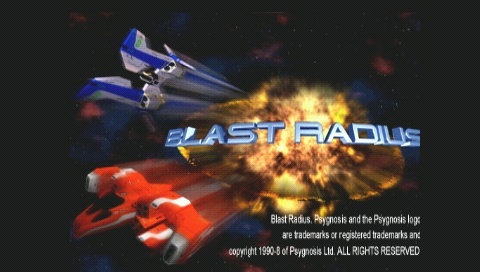 Press Up, Down, L2, L1, Select, R2, Down, Select, Up(2), Down, L2 at the main menu. The sound of an explosion will confirm correct code entry. 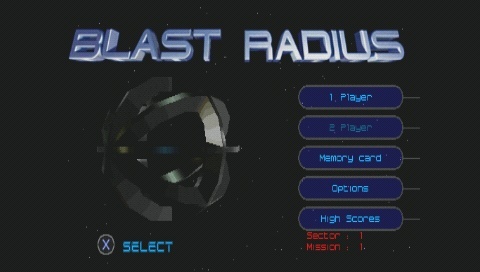 A level select option will appear at the bottom of the main menu. Use the L1/L2 buttons to increase/decrease the Sector value, and the R1/R2 buttons to increase/decrease the Mission value. The Level Select has no hidden levels. Where are they, if not in the main series of levels? Looking at the game's content, there is indeed a folder called Missions, which seem to contain levels other than those in the main game. There are eleven in all, with four levels having the name of C1_*.LM (With the asterisk being a number between 1 and 4), another four named DM_*.LM, and a further three called FLYBY, MENUTEST and WEAPMENU. The last of these would obviously seem to be the most interesting, but we need to eliminate the hidden levels first. By swapping the files in the Missions folder with their counterparts in the individual level folders, these can then be played as if they are part of the main game. 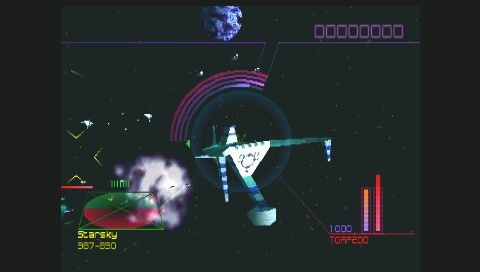 The levels with the names of C1_*.LM are the code-activated hidden missions, where you fight old fighters and bombers, only they are set in space now rather than some void. It is unknown as to whether this combination has an impact on the hidden missions other than just the setting. 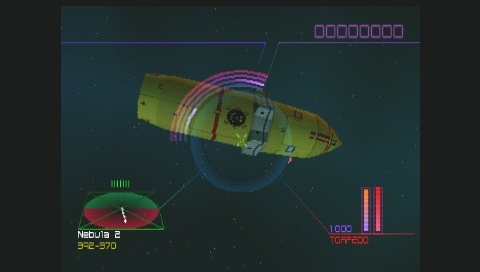 The DM_*.LM levels turn out to be akin to their CW training mission counterparts. 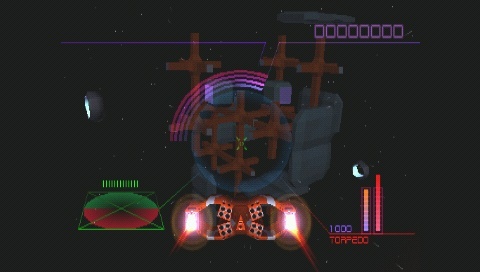 Each one has two jumpgates (to use Babylon 5 terminology), and a field inbetween full of power-ups. These are the Death Match levels. 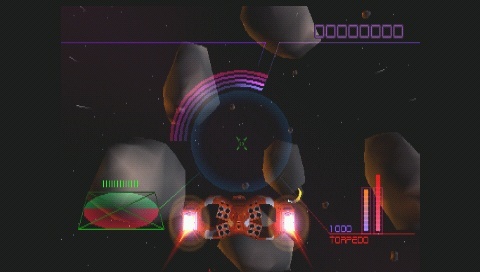 The final three levels are pretty individual. 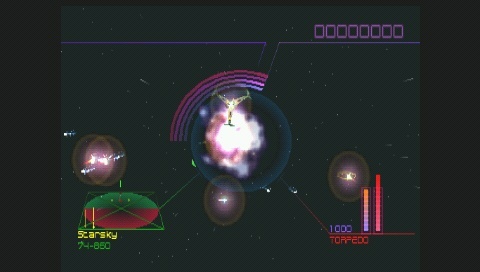 The first one is called FLYBY.LM and features an impression convoy of ships heading off into the distance. A number (all?) 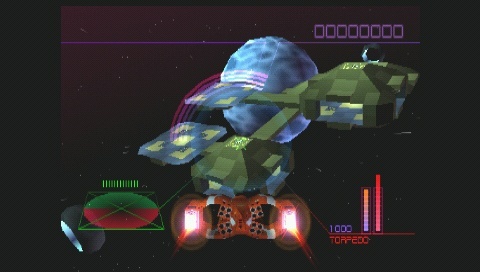 of the capital ships from the various levels are included, although not all have textures. 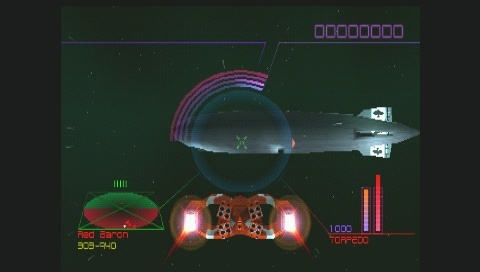 Also flying through this armada are the four selectable fighter ships. 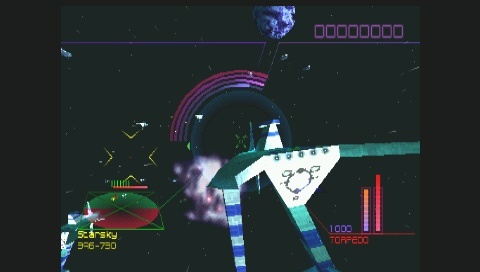 There is a rolling demo of this level at some point, which may be the way in which this (and the other two remaining levels) are used in the final game. The WEAPMENU.LM level has a long row of weapons, which may be the entire selection of armaments in the game. From a distance, these appear as blank grey boxes. But, up close, they become specific weapons. These do not seem to be usuable as seen in other levels, but there may be a way of doing this. 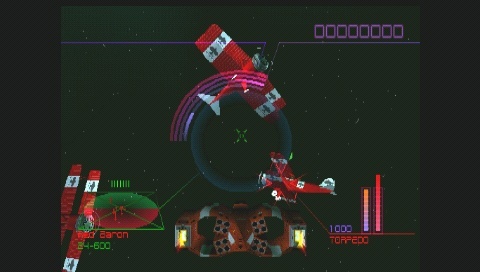 The MENUTEST.LM level includes the four playable fighters lined up in a a row (as seen in a rolling demo), but the level tested by this site had some enemy fighters attacking our fighter. This may have been due to the fact it was merged with one of the regular levels, but as the other two levels lacked any such discernible effects, this may not be so. 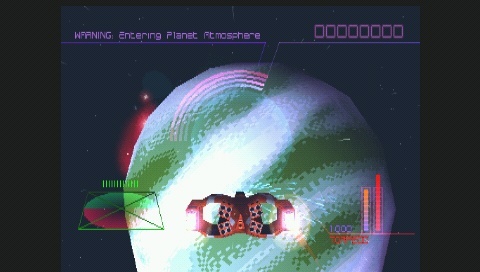 One common danger to many of the levels is planetary atmosphere, where the fighter can be destroyed if it gets caught too close to any particular world. 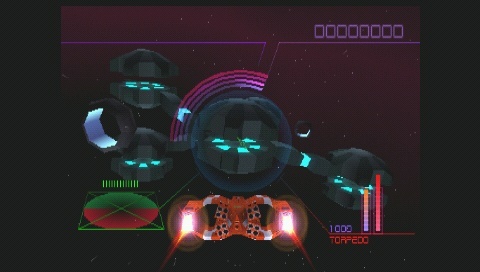 These can be bypassed, though, as seen in the FLYBY level. A manual Level Select code has been found: 800AB110 00??. Change the last digits to access the different levels and missions. As with the above code, the Hidden Missions are not part of this series of values, it seems. 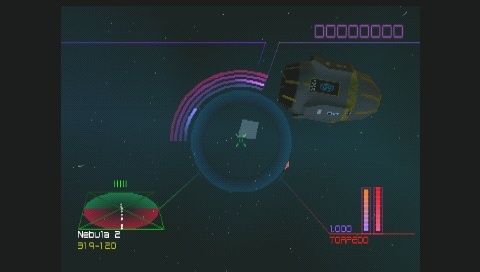 With the Infinite Fuel code, it is possible to reach the outer edges of the FLYBY mission. Takes a while, but you eventually run into a long series of blue planets (all the same one), then things get really weird. 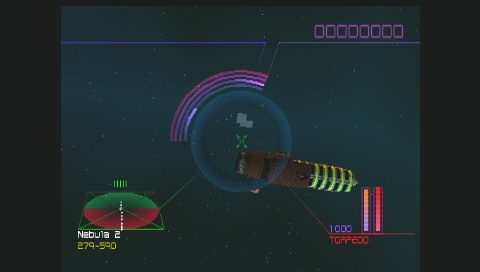 The screen starts flashing as you reach the convoy that you left way back at the start of the level. Eventually, the whole thing seizes up! 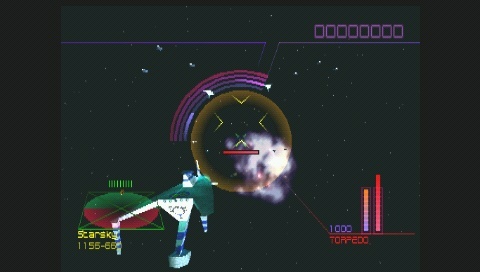 At present, only the unused levels have been hacked, but there may other stuff lurking in the game as well. More if we find it.